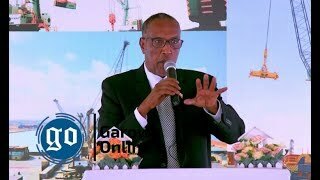 MOGADISHU, Somalia - Abdirahman Abdishakur, former planning Minister and Presidential Candidate has appeared before a court in Mogadishu on Tuesday, Dec 19, Garowe Online reports. Abdishakur, accompanied by several Federal MPs, including Mahad Salad was brought before Benadir regional court to face charges, including mobilizing a parliamentary motion against the government. 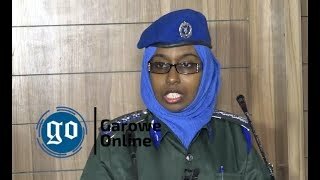 The judge of the court Aweys Sheikh Abdullahi announced that the hearing of the case has been postponed to Wednesday, Dec 20 after the Attorney General failed to bring sufficient evidence. Meanwhile, the Attorney General Ahmed Ali Dahir was given 24 hours deadline to present real facts supporting his case filed against the politician, who is in NISA detention in the capital for the third day. 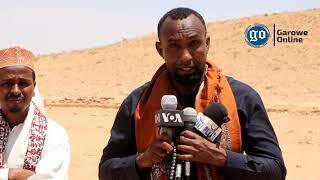 Abdullahi said if Abdishakur is found not guilty will be freed and the officials who arrested him will be convicted with an act of offending the citizen. Abdishakur, a leading critic of the government has been detained by Somali forces on Monday night, Dec 18 after the office of the Attorney General has accused him of committing criminal acts. 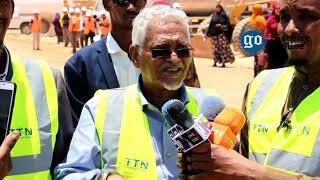 According to Dahir, the imprisoned politician involved in activities to bring down the Federal government of Somalia while using funds from foreign countries. 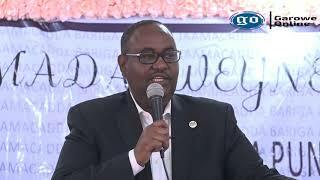 On the other hand, former Somali Prime Minister and current Senator, Omar Abdirashid Ali Sharmarke has strongly condemned the arrest of the former minister and called for his immediate release. Sharmarke distanced himself from alleged plan to depose the government, warning Somalia may reverse to the previous civil war if the current leaders keep on attacking the democracy and free speech.